> Ra Trading Group, LLC. 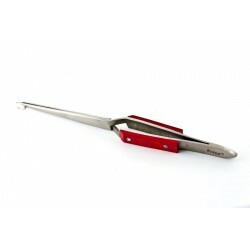 List of products by supplier: Ra Trading Group, LLC. 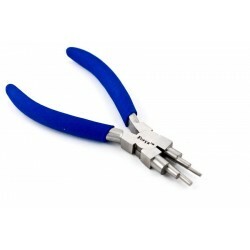 Ra Trading Group is a company based in Miami, Fl. 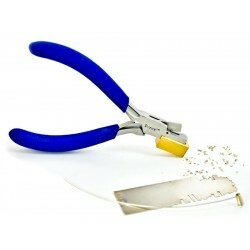 that imports and exports Jewelry Tools and Supplies, serving hundreds of Jewelry Schools and Academies in the United States, Canada and South America since 2008, and thousands of jewelers around the world since 1988. 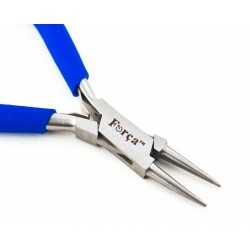 Our motto is to provide you with quality jewelry tools and excellent customer service. 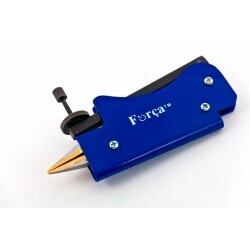 All Forca tools are backed by a lifetime guarantee which allows you to buy with confidence, and makes your investment in a Forca Jewelry tools a pleasant and worry free shopping experience. 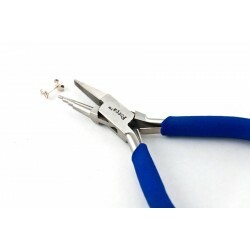 These ergonomic and unique Solder Cutting Pliers cut up to 18 gauge - 1.02 mm on Wire, and Flat sheet metal solder alloys in small pieces called Pallions into a removable container, so the solder pallions are not launched or lost when you cut them for jewelry soldering operations on Gold and Silver. 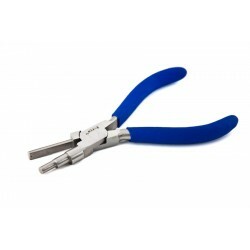 These ergonomics wrap and tap pliers allow you to bend ring stock around the barrel shaped jaw, which is size 0.75" ~ 19mm diameter perfect for Men's Rings then tap it slightly on a mandrel and instantly make a complete ring, half or quarter shank for repair up to gauge 12 ~ 2.06mm. 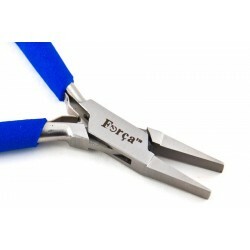 These ergonomics Wrap and Tap Pliers are equipped with 5, 7 and 10mm. 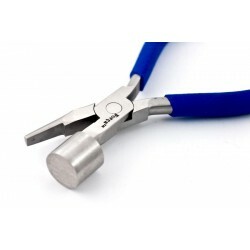 diameter stepped barrels to increase your jewelry forming capability. 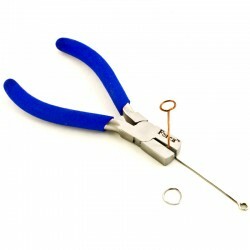 Making loops and jump rings is quite easy with the help of a mallet to shape half round wire or sheet metal stock, or even patterned wire, without twisting, or misshaping the wire. 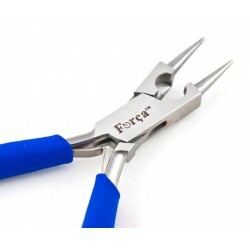 These Rosary Making Pliers are the perfect and unique tool to form wire loops and bend tight curves and coils for jump rings, chain making, head pins, eye pins, filigree work and wire wrapping combining a wire cutter built in for making rapid cuts. 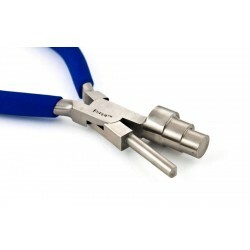 All the features you need in a tool to make your Rosary connections, saving you time and effort.